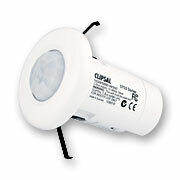 Clipsal provides a number of useful Sensors and Detectors to use on your wired C-Bus network. These include temperature sensors, thermostats, light sensors, PIR movement detectors, infrared occupancy sensors, and Multi-Sensors that provide a combination of sensor inputs. Whilst most are designed for indoor use, some are weatherproof for outdoor use on your Smart Home automation network.